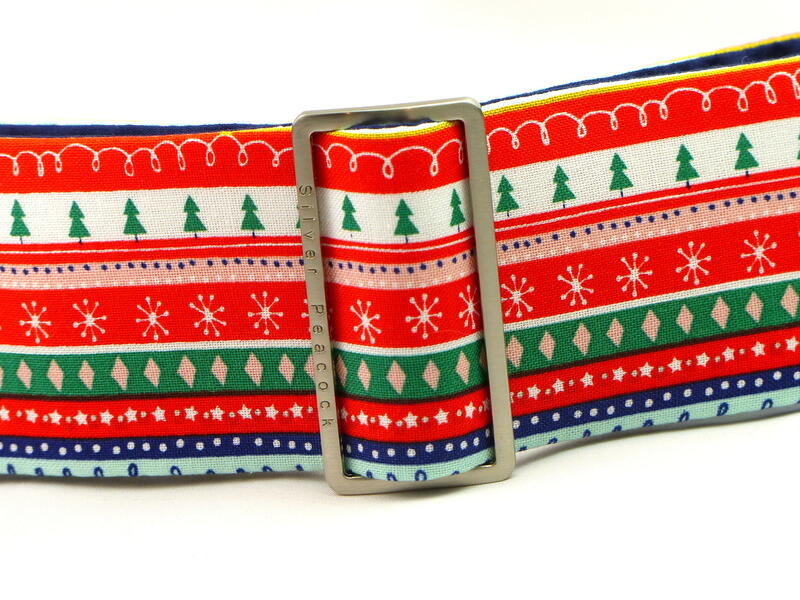 A great all-round Christmas collar! 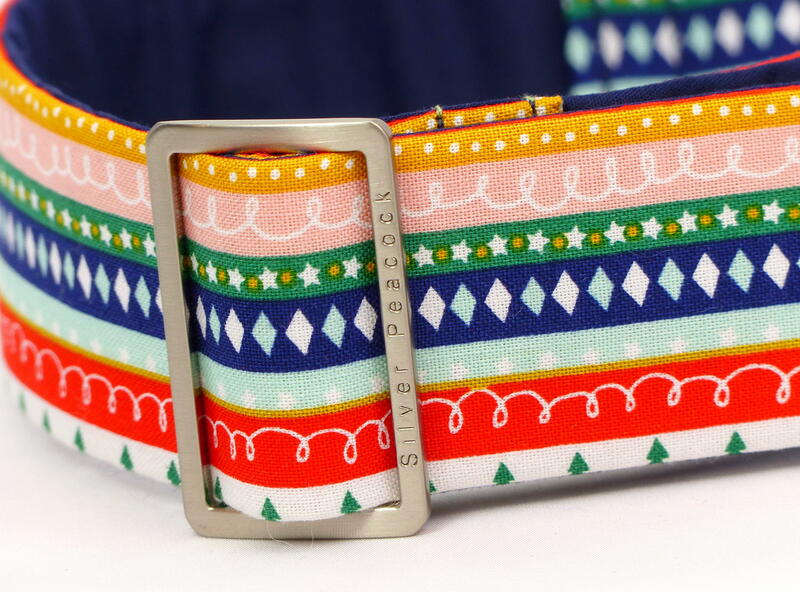 Red, white, navy and green striped design with snowflakes, christmas trees and stars will be great for any hound. The collars are lined in complementary navy fabric and finished with our signature robust hardwear. 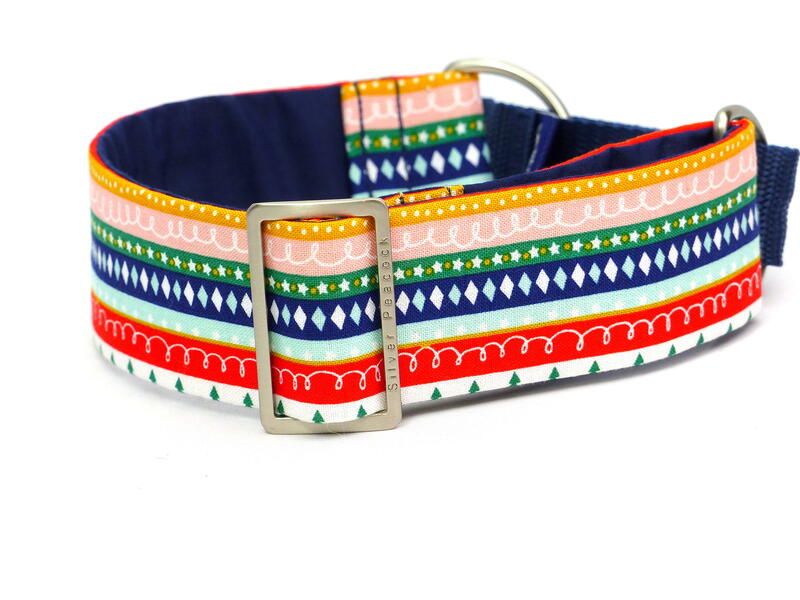 The martingale version has a red webbing section.